Dr. Bob, the Stress Relief Doctor, is an Executive Stress Management Wellness Coach who helps high achieving individuals and groups get ahead of the stress curve by giving them the tools they need to address and dissolve their habitual stress, anxiety, grief and chronic pain. Dr. Bob’s client-centered approach treats each person as the unique individual that they are. By using Active Listening, he customizes and tailors his coaching methods to directly address the specific pain points of each client so that they begin to feel better right away. Dr. Bob provides stress relief solutions which begin to shift the locus of control for healthy well being in the client’s favor. Clients experience fast and measurable stress and anxiety reduction right from the first session. The tools Dr. Bob will give you alter the way you pay attention which automatically changes the way you perceive and experience your stress, anxiety, grief or chronic pain. These tools and methods generate an elevated Relaxation Response which has been shown to lower blood pressure, reduce pain, increase mental clarity, boost creativity, and lower your cortisol secretions while simultaneously making you calmer and more centered so that you are poised to become more efficient and effective. Dr. Bob shows you how to use and incorporate these same tools into your every day routines with resultant boosts to your performance and productivity. Additionally, clients report that they have less overall fear about achieving their goals, more and better mental clarity with an enhanced ability to concentrate and focus, increased physical flexibility and stamina, fewer arguments, less conflict with others, and are able to put that pep back in their step! View our Testimonials and Case Study pages to learn more. If you’d like to get similar results Dr. Bob’s coaching clients get You can call him at 954-900-2179 or email him at Dr.Bob@StressFreeNow.info. 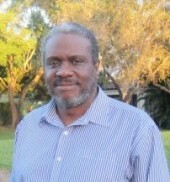 Robert “Bob” Wright, Jr., Ph.D., COFT is a graduate of the California Institute of Integral Studies doctoral program in Transformative Studies. Dr. Wright is the author of the first published study to show a correlation between grief, stress, and nitric oxide flatlining and grief recovery, stress reduction, and nitric oxide spiking. Dr. Wright’s study breaks new ground since his findings demonstrate that the same physiological mechanisms needed to induce relaxation also help us dissolve pain and grief. The study bolsters the linkage between the physiological mechanisms underlying the Relaxation Response and any method which causes a Relaxation Response to occur. 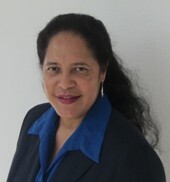 Dr. Wright holds a Master’s degree in psychology from Union Institute & University. He is a Certified Open Focus Trainer, a Certified Practitioner of Ericksonian Hypnosis, a Certified Practitioner of Neuro-Linguistic-Programming (NLP), and a Certified Seminar Leader (ASLA). An avid traveler, Bob has visited almost 60 countries including completing a Round the World trip, and a World cruise. Bob’s passionate hobbies include jet skiing, floating in isolation tanks, exotic travel, and deciphering ancient Egyptian hieroglyphs. He is the author of numerous books and articles on stress and is the co-host of the popular Learn to Live Stress Free podcast series. He resides in south Florida with his wonderful wife Christine. An innately curious alternative thinker, Christine Wright, M.A has a passion for coaching, teaching and sharing information. Her versatile experience spans careers in performing dance, elementary and secondary education, non-profit Community Based Organizations, retailing, administration, management, and publishing. Her gentle approach coupled with her intuition and strong organizational skills helps you recognize your aptitudes and play to your strengths. You will quickly be able to increase your confidence, to identify and remove your internal blocks, to improve your performance, and to achieve your desired results successfully with ease. If you feel overwhelmed by the speed of life and the constantly increasing demands on your time, attention, and energy by a never-ending list of obligations, Christine will show you how to manage the pace of incoming requests and prioritize your activities. If you take a little longer than others to make decisions, if you feel out of place because of your need to be alone and to have plenty of uninterrupted quiet time, and if you feel that you’re sapped of energy by a bombardment of sensory inputs, then consider coaching with her. She will show you how to honor your unique needs and gifts while satisfying the social and business obligations of your world that may sometimes have you wanting to head for the hills. Christine is a double NYU graduate, holding a B.S. degree in Dance Education from NYU’s Steinhardt School, and a Master of Arts degree in Interdisciplinary Arts from the NYU Gallatin School. She is a Certified Seminar Leader, (ASLA), and a Certified Practitioner of Neuro-Linguistic-Programming (NLP). Additionally, skilled in the use and application of the Law of Attraction and the use of Ideokinesis which uses imagery to enhance range of motion, quality of movement, and physical alignment. Christine’s approach helps you to live your life in integrity with congruence in your thoughts, feelings, actions and results. She believes that by being true to your own values and beliefs, you’ll be better able to realize your hopes and create and an ideal authentic life.